In addition to how you plan to use your garden, it is worth spending some time to consider the style of garden you desire, whether it is a traditional, classic-style English country garden, a contemporary urban entertaining "room" or a warm Mediterranean-style courtyard. Here are a few style examples to help inspire you. Contemporary or modern garden design incorporates trend-setting design ideas and state of the art landscaping products.They tend to have clean lines running through the entire garden. 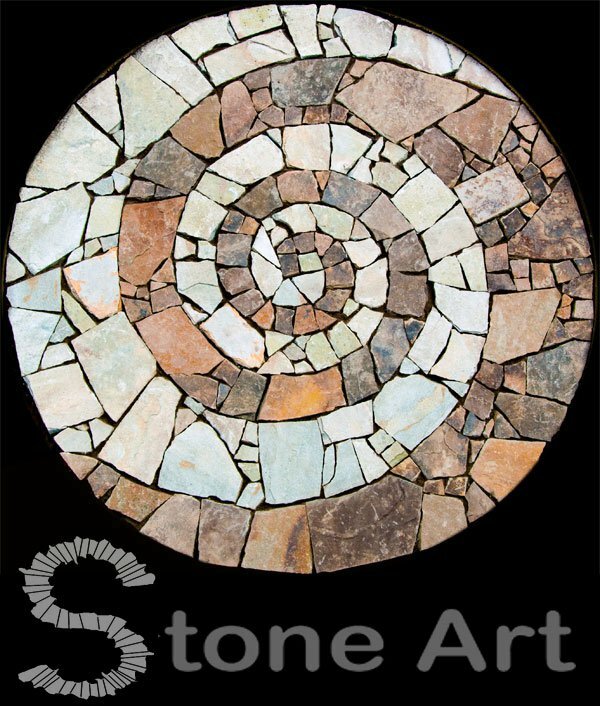 Texture and layers can be included into the garden design by using different materials. Hard landscaping features often include raised plant beds, terraces, water features, wooden decking, patios and bar areas. There is often almost a seamless transition from indoor to outdoor living spaces, making the garden an extension of the home. Many gardens are accessible year round with outdoor heaters or fire pits, enclosed decks and patios that can be utilized when entertaining friends and family. 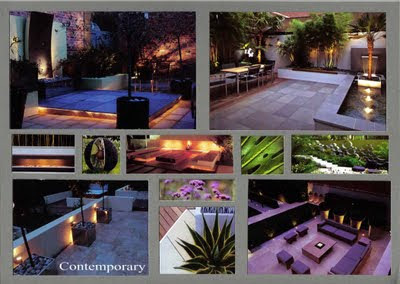 Lights to the outdoor area add additional ambiance at night, they can be added to highlight concrete walkways and patios in the outdoor garden area. Shrubs and flowers should be easy to manage and do not overwhelm the outdoor space. Plants with strong dominant forms, such as Black Bamboo and Lily Turf, are often seen. 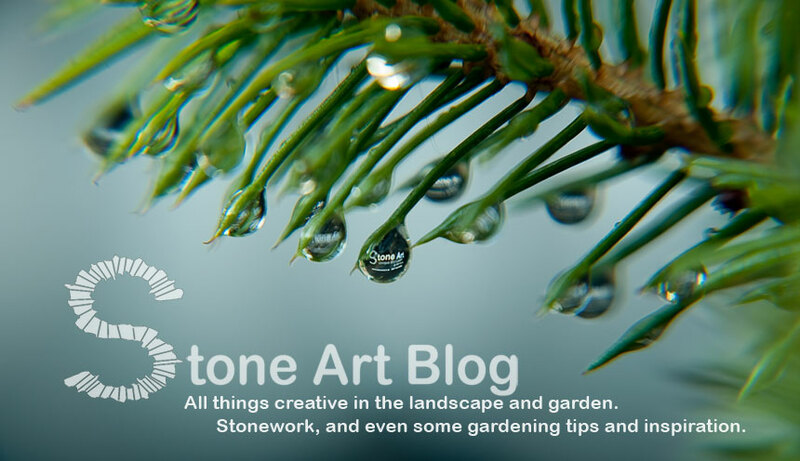 These plants have distinct shapes and textures and require only simple care. Colour palettes for contemporary gardens are simple and do not include more than one or two colours. Sculptures or statues add architectural design to a garden.Trendy exterior décor products are also often used to complement and round off a modern contemporary garden design. 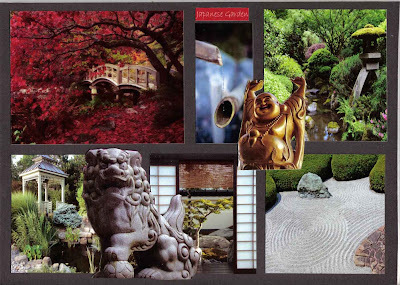 A Japanese garden is a timeless and therapeutic garden. With its evergreen plants, tranquil water features and elegant flowing lines, it quickly eases your mood and relaxes your mind, soul and body. Japanese gardens concentrate on the use of rocks, stones, trees, plants, bridges, water and waterfalls. You’ll often see rocks that surround a pond or stream that are encased with plants or shrubs. In Japanese ponds or streams, you’ll often find koi, a common fish. You’ll also find oriental sculptures, stone lanterns, trellises and garden benches. The garden’s purpose is to capture nature and become a quiet place for reflection and meditation. 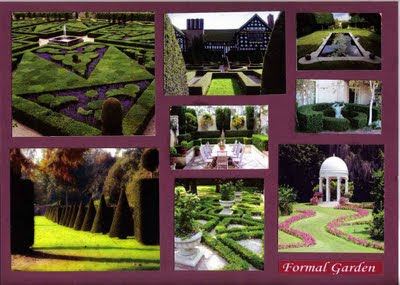 The formal garden style consists of long axial views, usually with a symmetrical layout. Clipped hedges are common sights, these are the earmarks of a formal garden style. This garden type conveys power and control over the environment as well as its visitors.Formal gardens are rich in classic elements and structured lines. Plants typically used for formal gardens include buxus hedges, topiary trees, roses, lavender, maple trees, silver birch trees, conifers and poplar trees.Classic garden benches, pergolas, trellises and water features also play a very important role in formal garden design.Ultimately, the garden design of a formal garden should harmonize with the architectural style of the home and with the tastes of the home owner. Traditionally, cottage landscape designs were found in small English villages and referred to the lush and magnificent gardens that surrounded the quaint thatched cottages of the Tudor and Victorian eras in England. 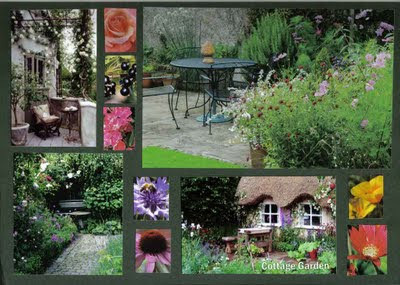 This period of renaissance took personal gardening beyond the fruits and vegetables necessary for survival to a new level of enjoyment and an appreciation of the beauty and fragrance of plant life.Cottage garden design centres around the rustic cottage and features a colourful array of practical, easy to grow flowers, shrubs, and trees. Along with the traditional cottage garden plants, the gardens also often dotted with new, more luxurious plants, like fragrant rose bushes and elegant, climbing vines.They will also often feature functional pathways of weathered or aged bricks or simple terracotta pavers, cobblestones or other rustic stonesLawns and grassy areas are limited in cottage garden styles because most of the landscape is covered by plant lifeArches and trellises provide both visual interest and support for climber plants. Simple rustic accessories like, Victorian style birdhouses, water pumps, classic weather vanes, bright coloured accents, including outdoor upholstery and patio beverage sets help create a feeling of times gone by. Whimsical figurines may also help complement the overall decor.Most importantly, cottage gardens should accent the sights, sounds, and smells of nature and the planting should grow easily in your area, preferably native plants for a flourishing and vivid garden, giving you a tranquil slice of country life.